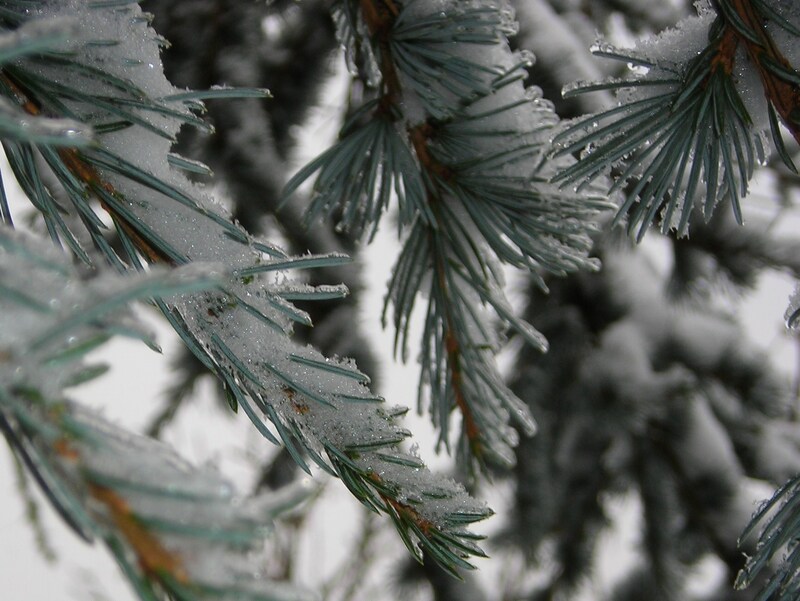 I haven’t posted a weekly photo challenge for a few weeks, since I’ve been busy with the holidays but I’ve found winter photos. I’ve already posted a few of these, but I still enjoy them. Bundle up and stay warm. 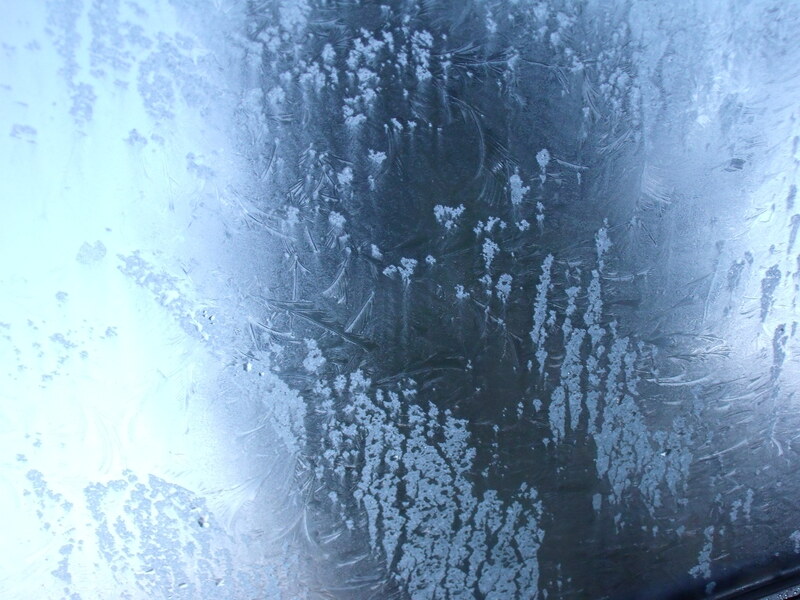 Here is frost on my car window on a cold winter morning. This entry was posted in Photos, Weekly Photo Challenge and tagged dogs, frost, photos, postaday2011, postaweek2011, snow, weekly photo challenge, winter. This week’s photo challenge is celebration. 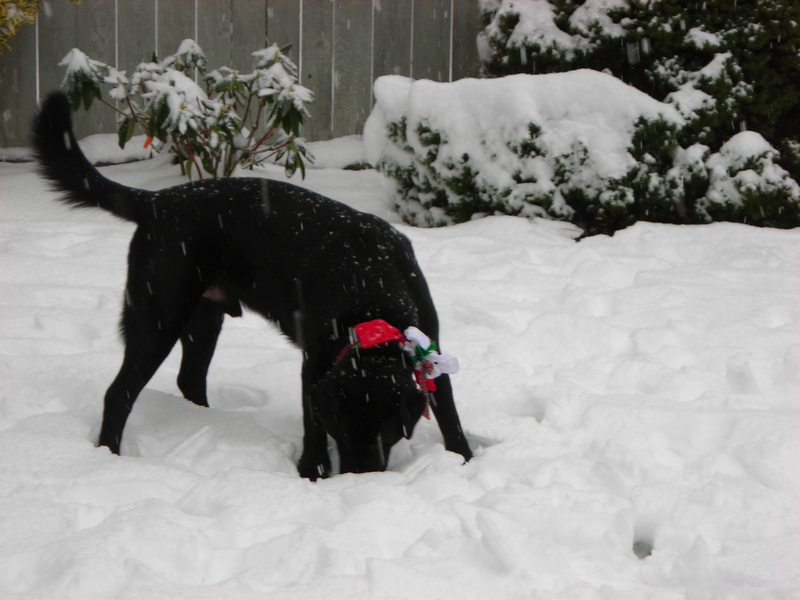 Of course, my first thought was to post various Christmas photos since it’s right in front of my eyes. 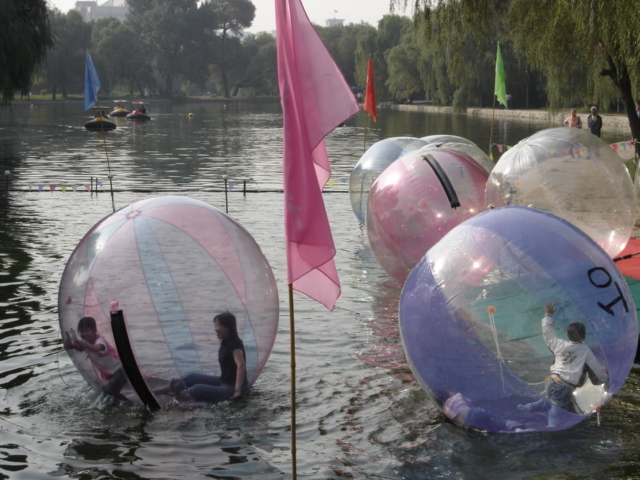 I searched my China photos and found these mooncakes. 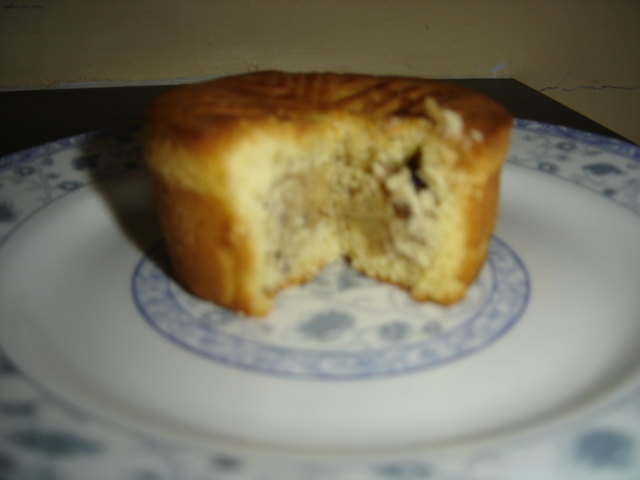 Mooncakes are traditionally eaten during the Mid-Autumn Festival for lunar worship and moon watching around the middle of September. They are considered a delicacy with a thick paste inside and often a whole egg yolk to symbolize the full moon. 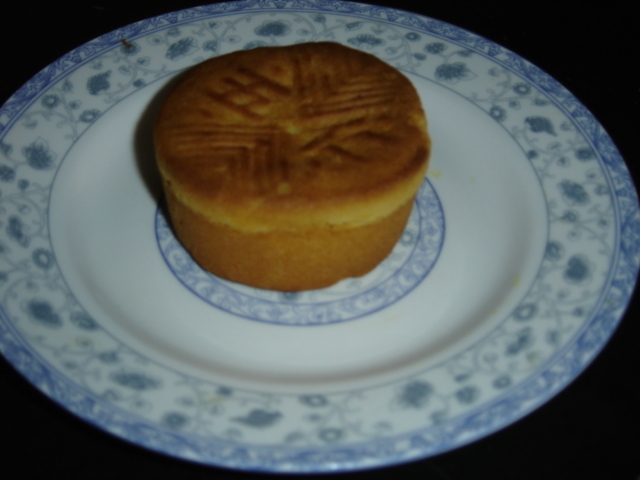 There’s often Chinese characters on the top that may state the filling, the bakery name, moon symbols, and additional decorations. 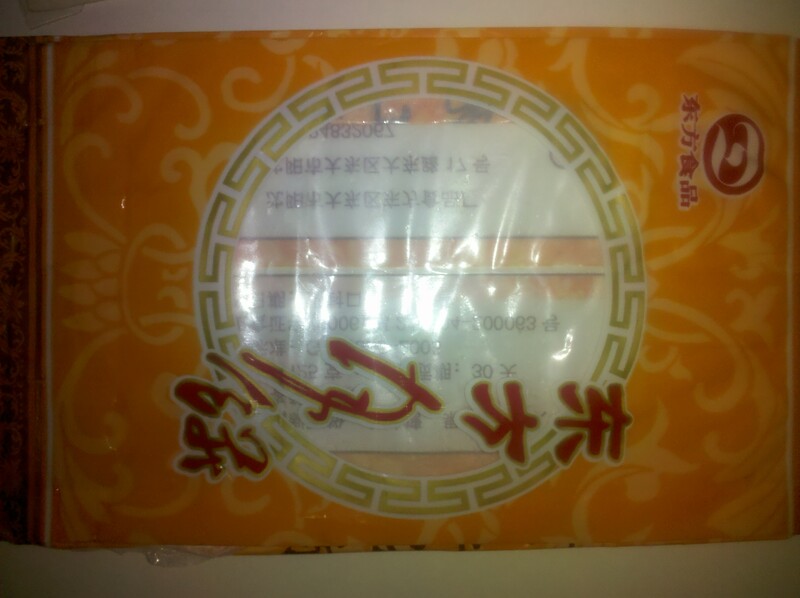 There were packages of mooncakes everywhere, so of course I had to buy and taste some. After several years, I’m surprised I still have the package wrappings. I couldn’t read Chinese, so I’m not sure what my mooncakes represent. I honestly didn’t like the taste. 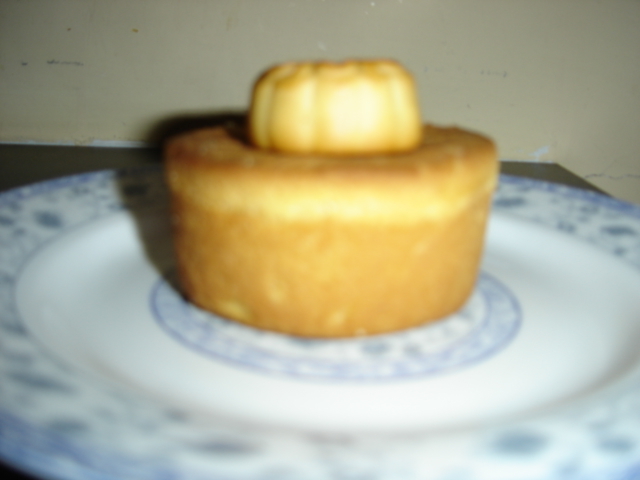 It was very dense and wasn’t sweet. If you read Chinese characters feel free to state what it means. This entry was posted in Photos, Weekly Photo Challenge and tagged China, Mid Autumn Festival, mooncake, photos, postaday2011, postaweek2011, weekly photo challenge. This week’s photo challenge is waiting. The first thing I thought about was waiting in long lines whether at the store or DMV. (You’ll really be waiting there.) Instead, I decided to focus waiting upon Christmas. This is an advent calendar that my mom made. There’s a small ornament in each pocket and a new one is hung every day. It’s fun seeing the tree become decorated. 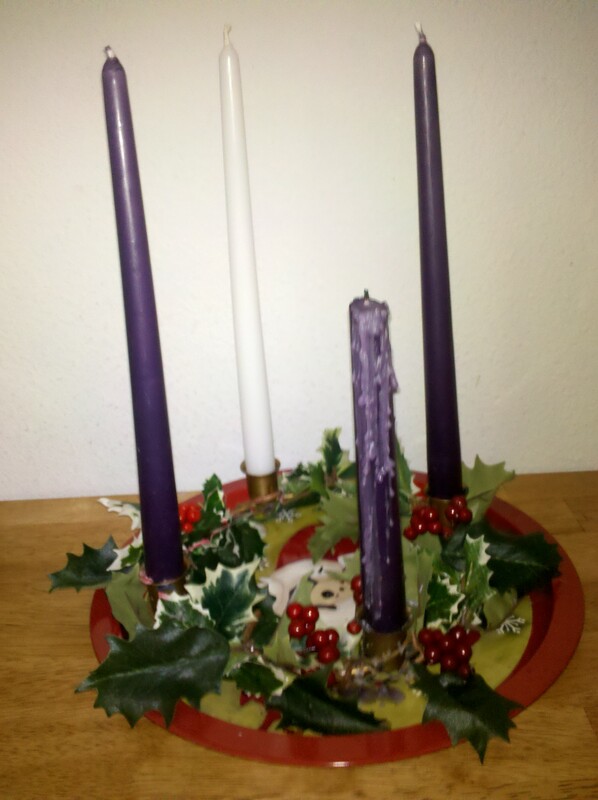 This is a photo of our advent wreath. The first week of course is waiting. 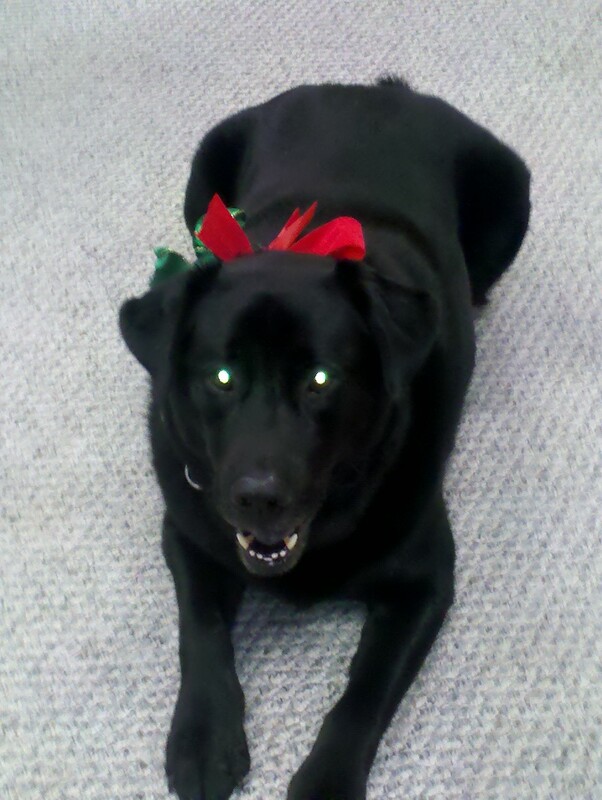 Here is an adorable Christmas dog waiting for a treat. This entry was posted in Photos, Weekly Photo Challenge and tagged advent calendar, Christmas, dogs, photos, postaday2011, postaweek2011, waiting, weekly photo challenge. This week’s photo challenge is delightful to capture breakfast. I love all types of breakfast foods anytime of day. 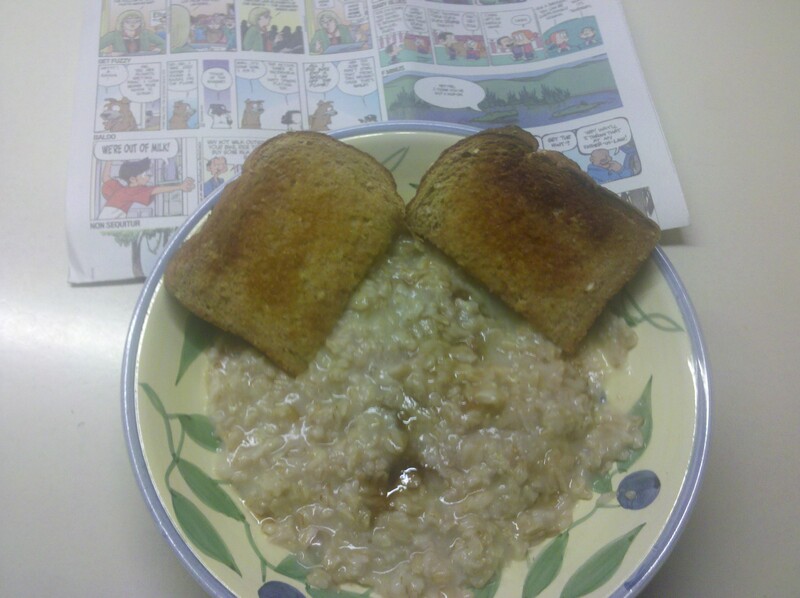 Today I had oatmeal with brown sugar and buttered toast. I also enjoy reading the comics with breakfast. My breakfast hardly competes with other individual’s breakfast photos that I wish I could take my fork into my computer and nibble. With all the wonderful and delicious breakfast choices it’s difficult to skip on the most important meal of the day! This entry was posted in Photos, Weekly Photo Challenge and tagged breakfast, oatmeal, photos, postaday2011, postaweek2011, weekly photo challenge. This week’s weekly photo challenge is wonder, which can have many interpretations. Here are some of my personal wonders that I’ve collected. 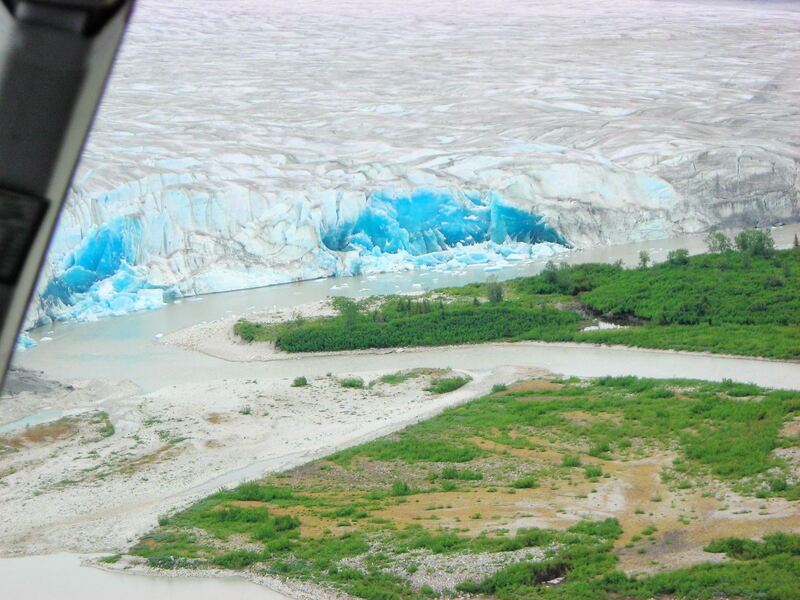 I wonder what makes the glacier look so blue. I wonder what’s down this tunnel. 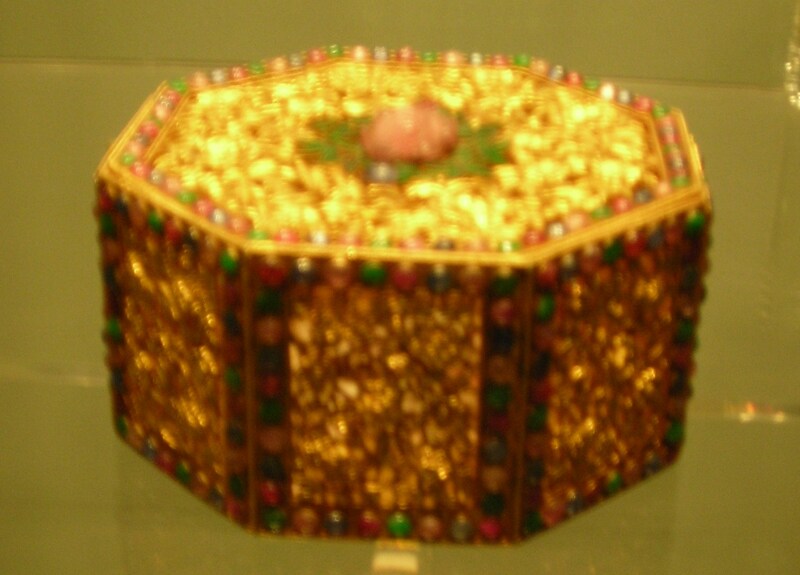 I wonder what’s inside this box. This entry was posted in Photos, Weekly Photo Challenge and tagged Alaska, China, glacier, photos, postaday2011, postaweek2011, weekly photo challenge, wonder. 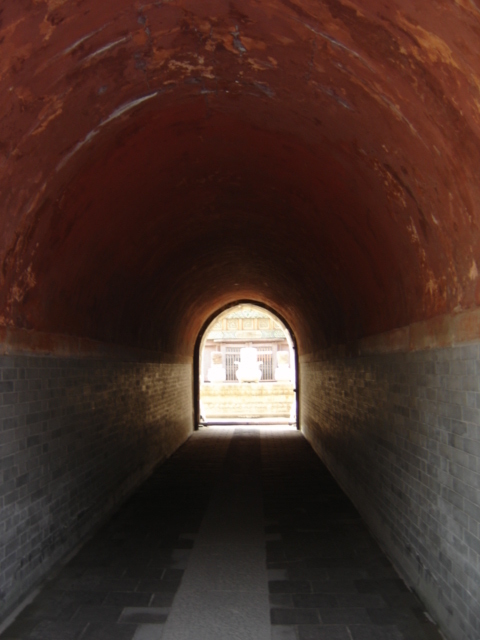 This week’s photo challenge is windows and I went back to my China photos. 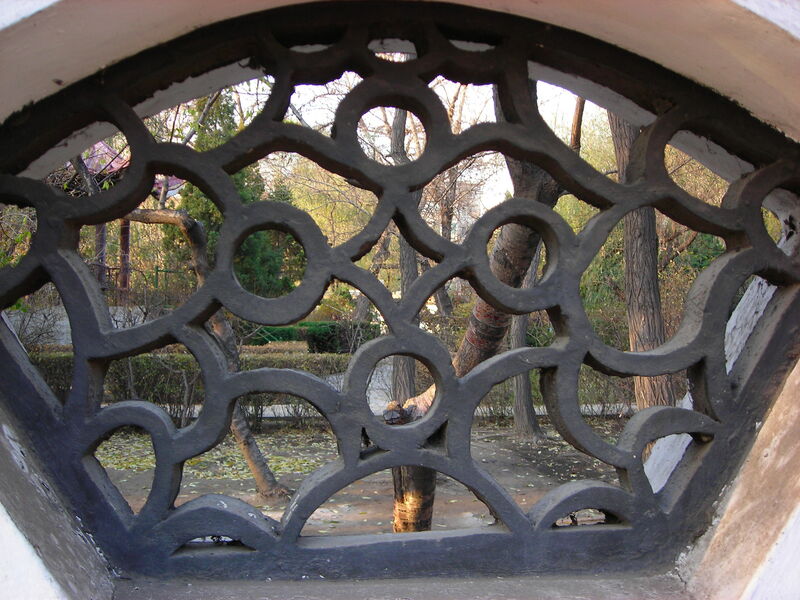 This isn’t exactly a ‘window’ but I loved how I could see through the metal concrete at a park. It made me want to peak through. This photo was taken quickly from inside a taxi. 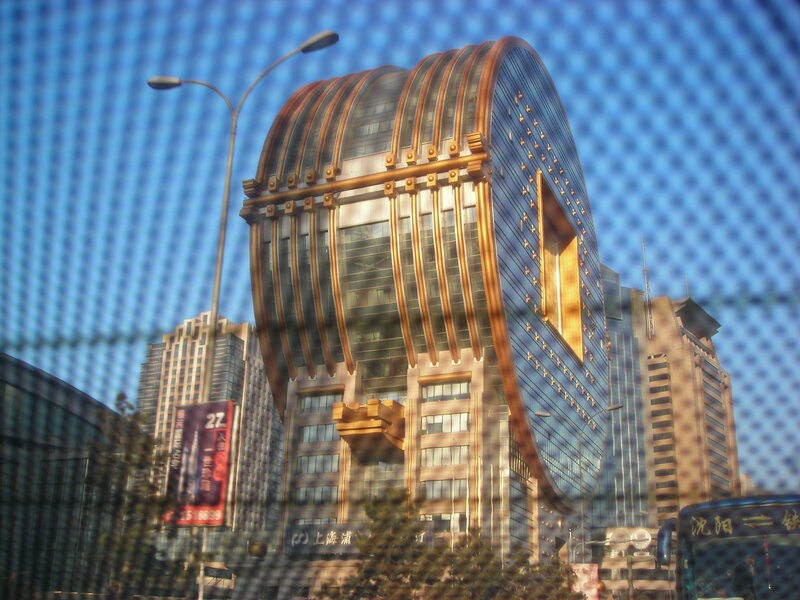 The odd shaped building and the criss cross pattern of the taxi’s glass fascinated me. You don’t see huge windows on a pink building every day. Well, at least I don’t. 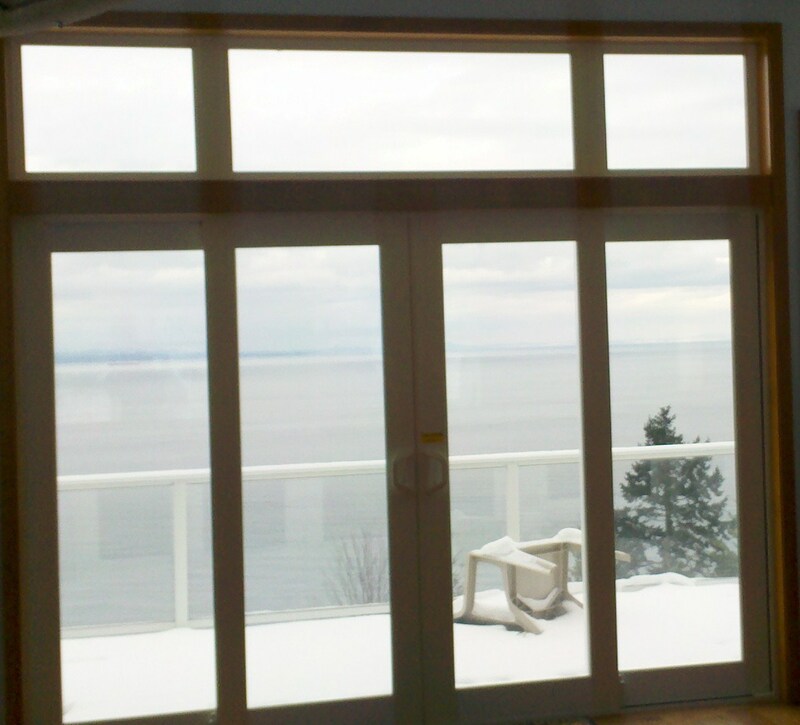 The last photo was not taken in China, but was taken in Washington State with a viewpoint of the water on a snowy day. This entry was posted in Photos, Weekly Photo Challenge and tagged China, photos, pink building, postaday2011, postaweek2011, waterfront, weekly photo challenge, windows. I felt like I cheated on this week’s photo challenge, since they weren’t my own photos. 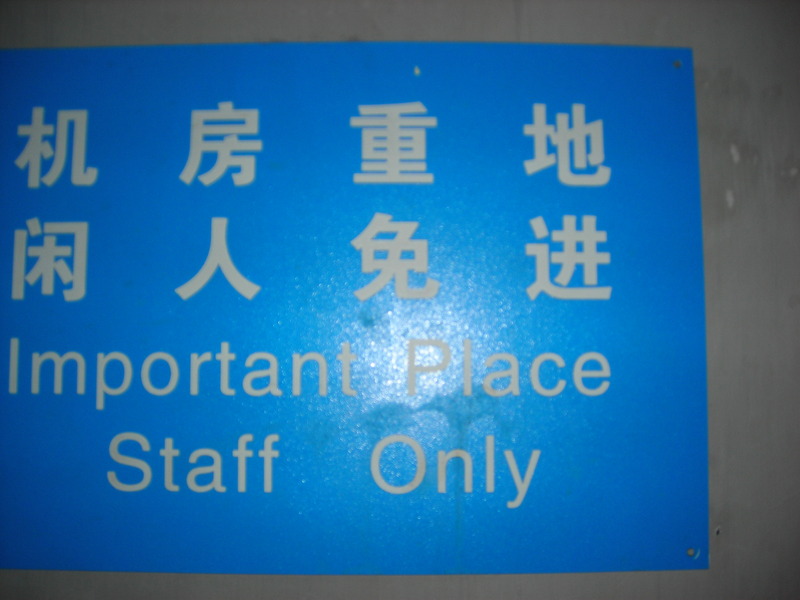 I took these photos in China and I thought the translations from Chinese to English on signs was often hilarious and left a hidden message. I’ll never know what’s hidden, since I didn’t go inside the places. 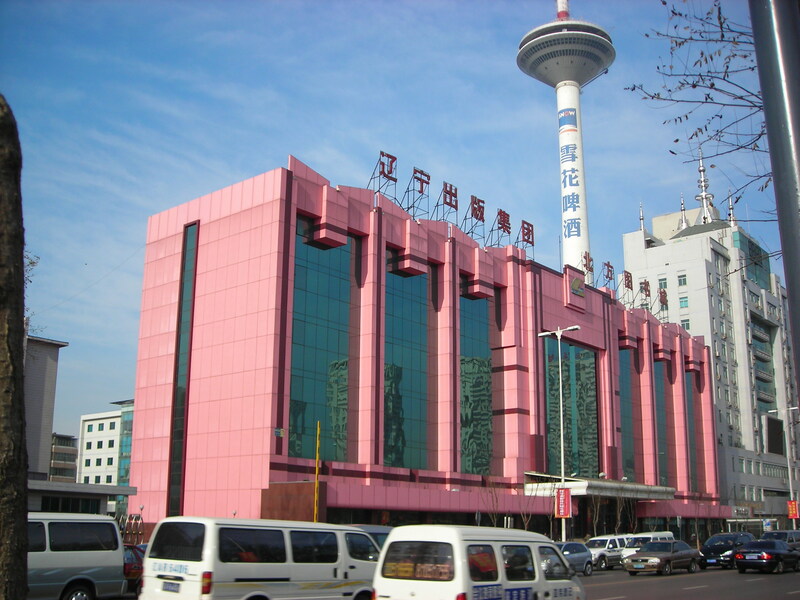 I wanted to go inside this building, so many times to discover what medicine techniques are so new and special. 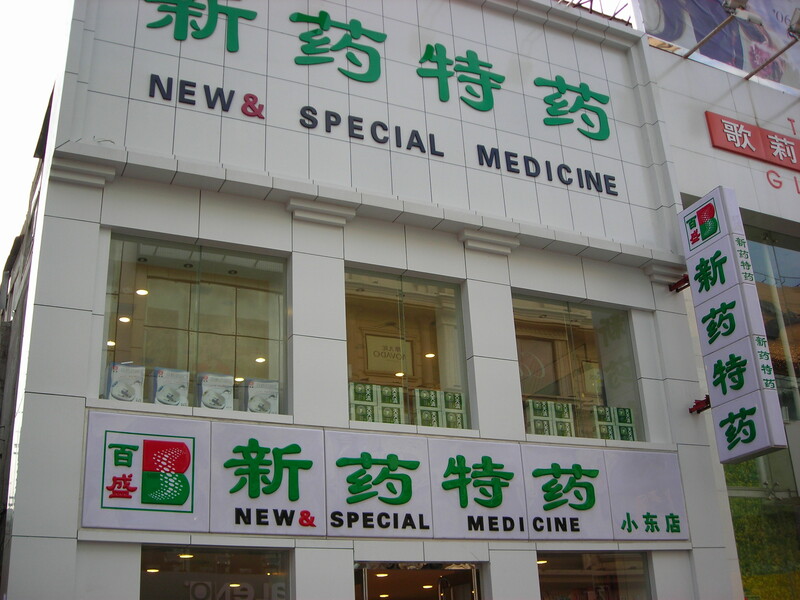 I can maybe understand the new concept, but what exactly makes the medicine ‘special’? 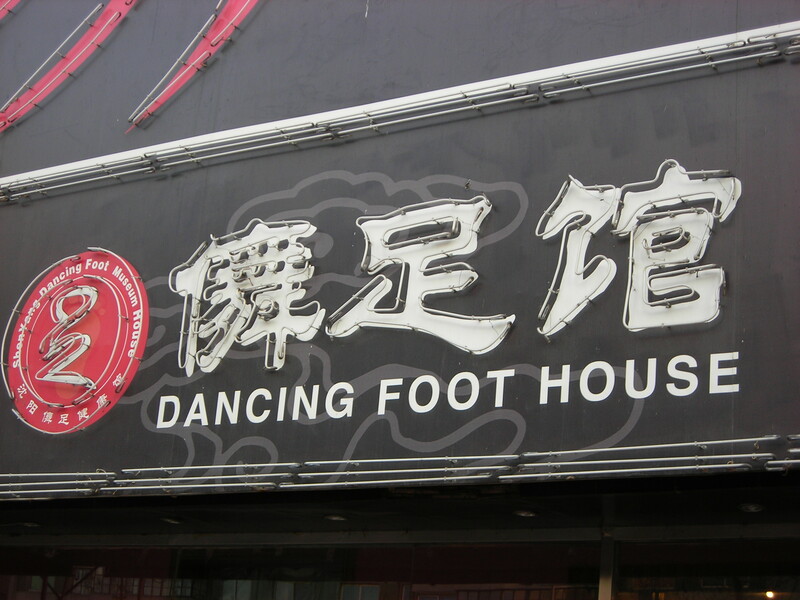 Most likely this is a dance studio, but my feet can dance for many reasons. Perhaps the feet dance so happily, because they’re wearing new sparkly shoes or they’ve just had a foot massage. I took this photo at a hostel in Beijing. Of course, I didn’t venture through the door since I’m not staff. I wondered what made the room so ‘important’. 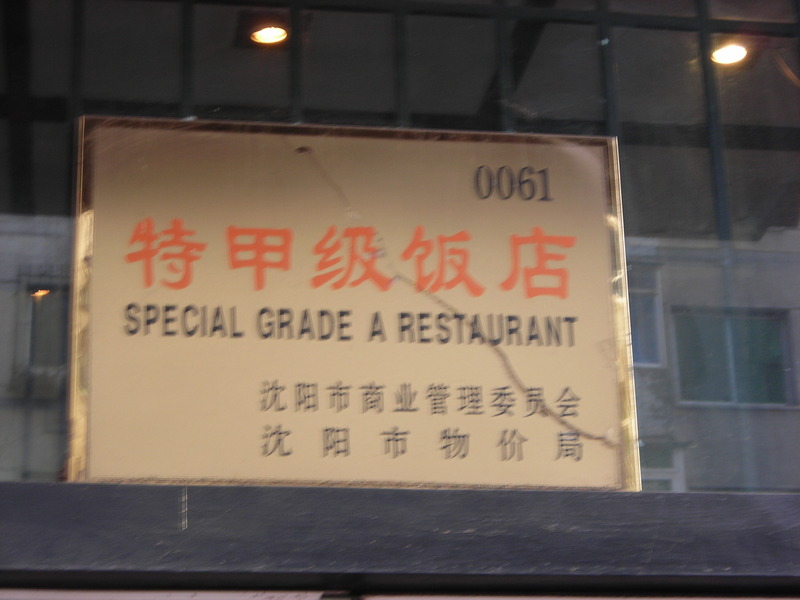 What’s hidden inside this restaurant that makes it ‘Special Grade A’? The sign is cracked and dirty, so I’m not sure how ‘Grade A’ it truly is. Animals camouflage and hide themselves in my first attempt. This entry was posted in Photos, Weekly Photo Challenge and tagged building signs, China, Chinese to English translation, Chinese wording, hidden, photos, postaday2011, postaweek2011, weekly photo challenge.